Smoking Gear is proud to present it’s 2nd event and it’s a hell of a show make sur you don’t miss it! You missed our first Flame Off and you were wondering when was the next one? Enter the Flame Off, sign up information at the bottom or just come chill and enjoy the Flame Off with us! 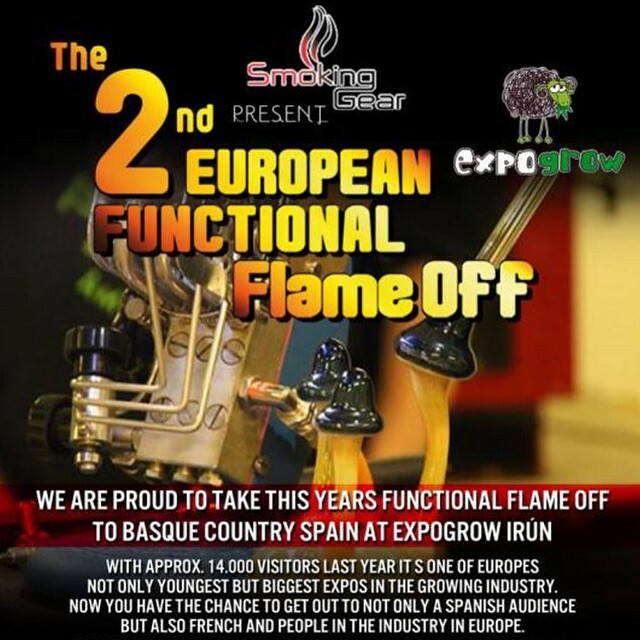 Feel free to invite all your friends that might be interested in seeing the biggest Functional Glass Competition ever made in Europe THANK YOU for the support!! !